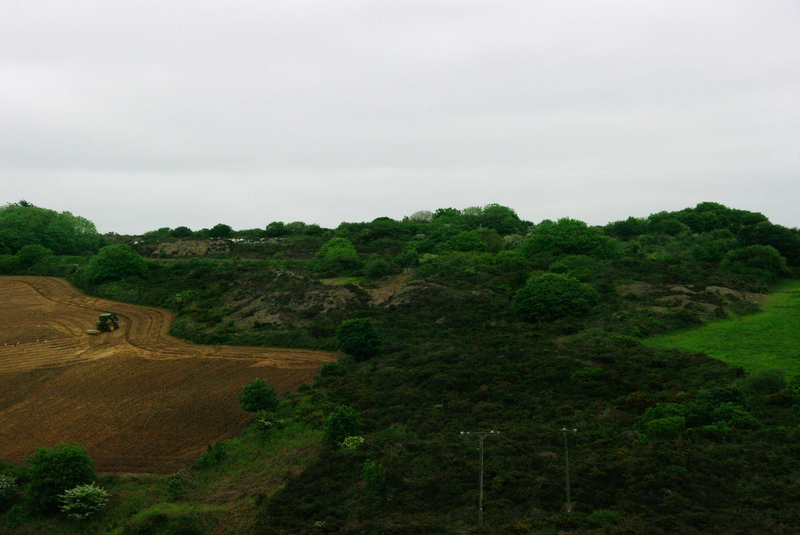 Wheal Herland, locally known as Manor Mine, occupied the western and central sections of the Rosewarne and Herland sett. The workings extended from NE of Drannack Mill to south of Gwinear, a distance of about 1,000 yards, and the extensive dumps between the fields in this area belong almost entirely to this mine. 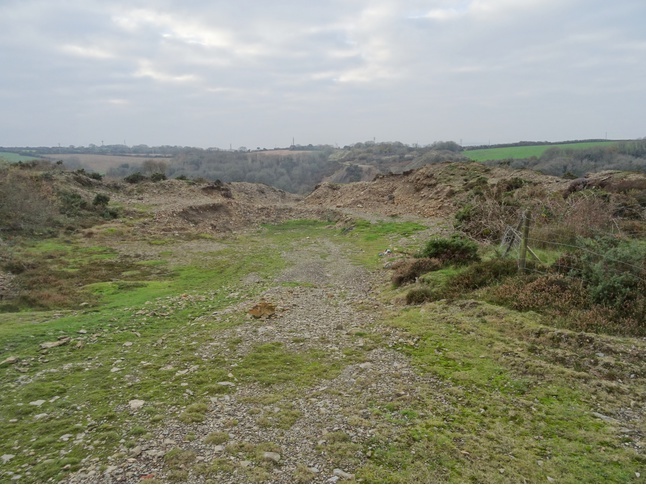 To the southeast, it was adjoined by Prince George Mine, to the west by Drannack Mine, and to the northwest by Wheal Fancy and Wheal Pleasure, two small 18th century workings which cannot now be identified. Though, the boundaries of the individual setts are not discernible, because plans of the workings do not exist. Wheal Herland was first worked in 1717, and again from 1726 until 1762, but Hamilton Jenkin records that there were further small sales of ore until 1778. During this period, the mine was developed to a depth of 120 fms, and it was rich enough to install a 70 inch Newcombe pumping engine. In 1790, it was restarted under the name of North Herland Mine, and in the following year, it was amalgamated with other workings in the area under the name of Rosewarne and Herland United Mines. The group continued operations until 1808, and was also worked for a short period of time around 1815-1816. In 1824, Wheal Herland was restarted and worked until 1843. The sett is reputed to have been traversed by several more or less ENE-trending lodes, called Badger, Bull's, Colenso's, Convocation, Manor Old, North Herland, Pleasure and Wheal Baily lodes, and two EW-trending lodes, called Fancy Caunter Lode and Herland Caunter Lode, which intersected all other lodes at acute angles. 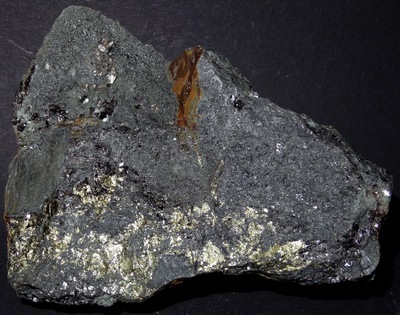 Herland Caunter Lode carried rich zinc ores at the intersections. North Herland Lode was the only tin-bearing lode in the sett. 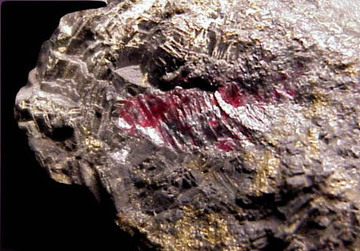 It was gossany in the upper part and carried chalcopyrite, cuprite, cassiterite and pyrite at depth. Manor Old Lode, south of North Herland Lode and coursing parallel to it, was a rich copper lode. It dips towards North Herland Lode and intersects with it at a depth of 85 fms. All lodes are heaved by several NW-trending crosscourses. Some of them were filled with clay (fluccans), but others were quartz veins that carried small quantities of galena and stibnite. 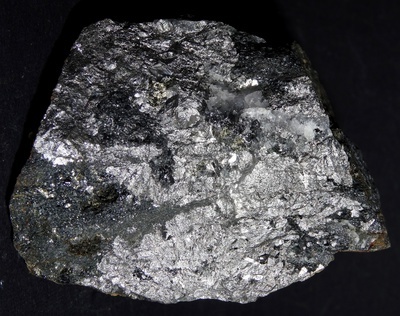 In 1799, silver was discovered on the 90 fm (166 m) level (120 fm below surface) in Manor Old Lode at the intersection with Convocation crosscourse, a quartz-filled vein averaging 2 feet (60 cm) in width which heaved the lode 18 inches (45 cm) south. 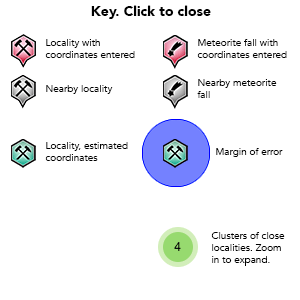 The silver ores occurred in cracks confined to a 6-8 inches (15-20 cm) wide zone on the eastern side of the crosscourse, that extended 6 ft (1.8 m) north and 12 ft (3.6 m) south of the intersection. At depth, this zone continued to the 120 fm (221 m) level and widened to about 45 ft (13.5 m), but the ore gradually became poorer as the distance from the lode increased. 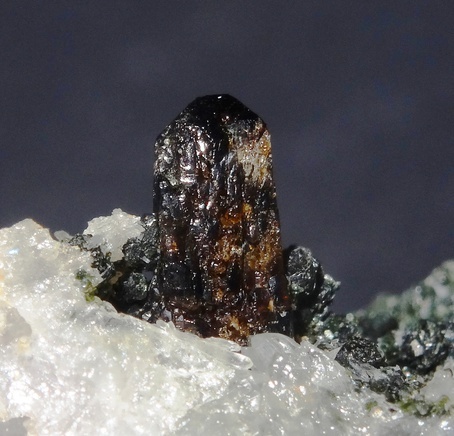 It was composed of acanthite, chlorargyrite, pyrargyrite and capillary native silver, mixed with arsenopyrite, galena, native bismuth, cobaltite, and smaltite. Specimens were given to Philip Rashleigh, a leading mineral collector in the late 18th century, and Rev. William Gregor, the discoverer of titanium. A part of the ore was smelted and tested on the mine, but the principal part was sold in Bristol. 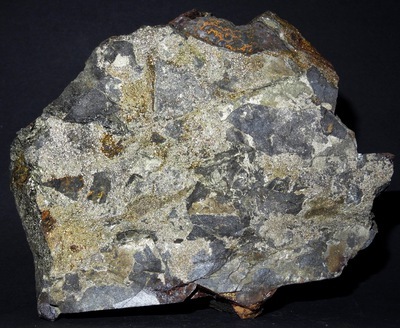 Following this discovery, other crosscourses were tried, and silver ore was also found where Manor Old Lode intersected with Rusty crosscourse, though this ore was not as rich. 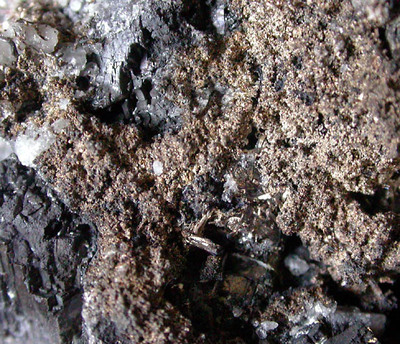 Occurrences of silver deposits of this type in Cornwall are not uncommon, but they are generally of a very limited extent. The early production figures of Wheal Herland are not complete, but it is said to have sold 156 tons of silver ore before 1814. Old Herland Mine produced 677 tons of copper ore in 1794, and also sold copper ore for £7,352 in 1756. Between 1816 and 1843, Wheal Herland raised 18,500 tons of 10.75% copper ore. Production figures in conjunction with other mines are listed for Rosewarne and Herland United Mines. Reference: Henwood, W.J. (1843): Transactions of the Royal Geological Society of Cornwall 5, 1-386; Hall, T.M. (1868): The Mineralogist's Directory. Edward Stanford (London), 168 pp. ; Collins, J.H. (1892): A Handbook to the Mineralogy of Cornwall and Devon, 2nd ed., D. Bradford Barton Ltd. (Truro, UK), 108 pp. ; Hill, J.B., MacAlister, D.A., and Flett, J.S. (1906): The geology of Falmouth and Truro and of the mining district of Camborne and Redruth. HSMO Publications (London), 335 pp. Reference: Phillips, W. (1823): An Elementary Introduction to the Knowledge of Mineralogy, 3rd ed. William Phillips (London), 535 pp. ; Hogg, T. (1825): A Manual of Mineralogy. Polyblank Publishers (London), p. 24; Hall, T.M. (1868): The Mineralogist's Directory. Edward Stanford (London), 168 pp. ; Collins, J.H. (1892): A Handbook to the Mineralogy of Cornwall and Devon, 2nd ed., D. Bradford Barton Ltd. (Truro, UK), 108 pp. ; Hill, J.B., MacAlister, D.A., and Flett, J.S. (1906): The geology of Falmouth and Truro and of the mining district of Camborne and Redruth. HSMO Publications (London), 335 pp. Reference: Dines, H.G. (1956): The metalliferous mining region of south-west England. HMSO Publications (London), Vol. 1, pp. 151-152. Reference: Hall, T.M. (1868): The Mineralogist's Directory. Edward Stanford (London), 168 pp. ; Hill, J.B., MacAlister, D.A., and Flett, J.S. (1906): The geology of Falmouth and Truro and of the mining district of Camborne and Redruth. HSMO Publications (London), 335 pp. ; Reid, C., Flett, J.S., Wilkinson, B.S.N., Dixon, E.E.L., Pollard, W., and MacAlister, D.A. (1907): The Geology of the Land's End District. HMSO Publications (London), 158 pp. Reference: Carne, J. (1818): Transactions of the Royal Geological Society of Cornwall 1, 118-126; Phillips, W. (1823): An Elementary Introduction to the Knowledge of Mineralogy, 3rd ed. William Phillips (London), 535 pp. ; Hogg, T. (1825): A Manual of Mineralogy. Polyblank Publishers (London), p. 20; Hall, T.M. (1868): The Mineralogist's Directory. Edward Stanford (London), 168 pp. ; Hill, J.B., MacAlister, D.A., and Flett, J.S. (1906): The geology of Falmouth and Truro and of the mining district of Camborne and Redruth. HSMO Publications (London), 335 pp. - Carne, J. (1818): On the Discovery of Silver in the Mines of Cornwall. Transactions of the Royal Geological Society of Cornwall 1, 118-126. - Henwood, W.J. (1843): On the Metalliferous Deposits of Cornwall and Devon. Transactions of the Royal Geological Society of Cornwall 5, 1-386. - Dines, H.G. (1956): The metalliferous mining region of south-west England. HMSO Publications (London), Vol. 1, pp. 151-152 (see also corrigenda in the 1994 reprint).